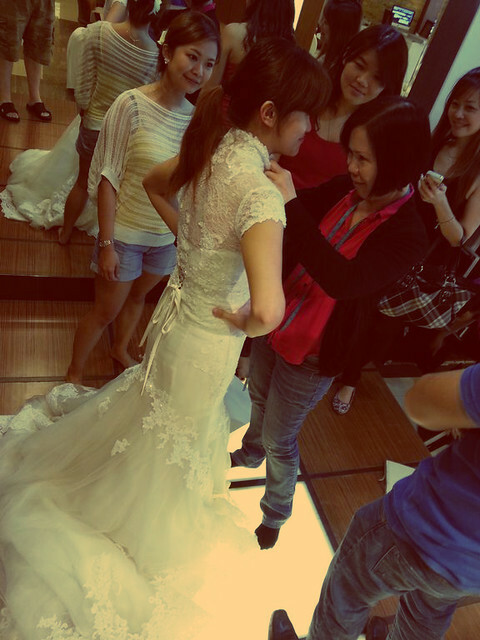 The other day, I went to check out bridesmaids dresses. Honestly I don’t really know yet what to get the girls but many months ago I saw a pink leopard print handkerchief dress which I’d love to see them wear. My idea was met with some resistance, but hey it’s a really nice dress and not as tacky as it sounds. Promise!!!! 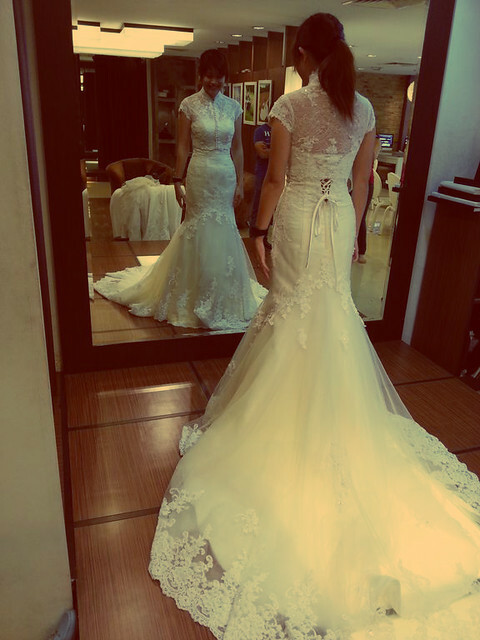 Anyway, instead of finding more bridesmaid dresses, I stumbled upon a wedding dress. Nothing like what I wanted initially but gawddamn I love it. 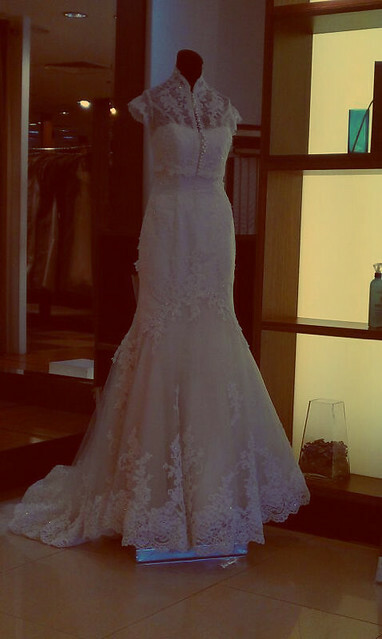 I haven’t even started looking at wedding dresses and I have already found the one. This is crazy. 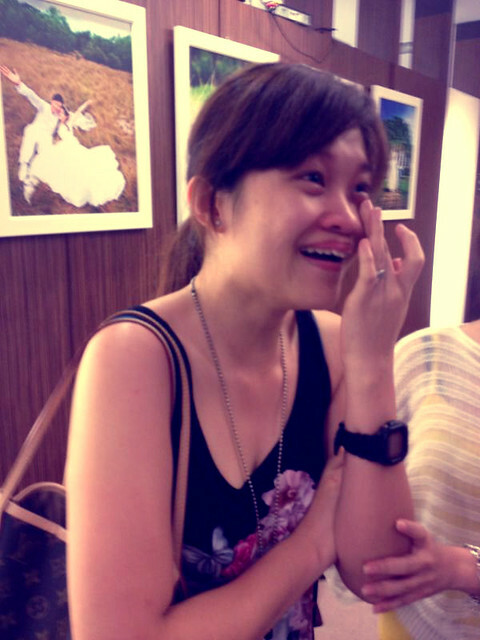 Against my Bridezilla compulsion, I told the girl I’d return with my Mom and that she must keep the dress for me. Truth is, I’m only going to go back after I lost a few kilos to try it on again because I am probably at my heaviest now (can’t be sure, cause too afraid to weight myself). Also, G has seen the dress and I’m kinda bummed because I wanted to surprise him on our wedding day and make him gasp and his eyes welled up from my sheer beauty, that sort of thing. So, I’m looking at the picture of me in the dress that G took every single hoping I will grow sick of it and eventually hate it. So far, it’s not working. Anyway, I’ve been cooking a lot (which explains the weight gain). 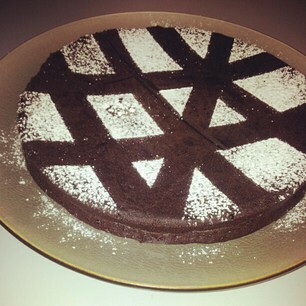 # – Chocolate torte. Almost flourless….rich & luxurious. 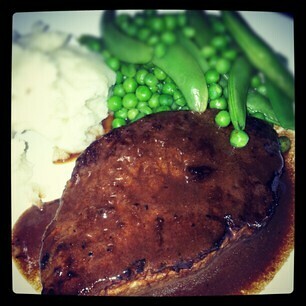 # – Steak, creamy mash and peas. 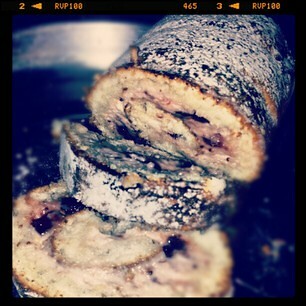 # – Strawberry yogurt roulade for Mother’s Day dessert. 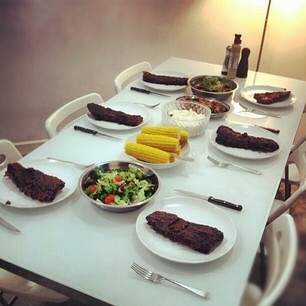 # – Also cooked sticky baby back ribs for 6 on Mother’s Day. Also mash potatoes, bacon wrapped asparagus, steamed corn on cob and salad. 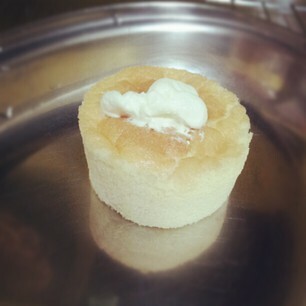 # – Made Hokkaido Chiffon Cake for the first time. Quite easy and very tasty! 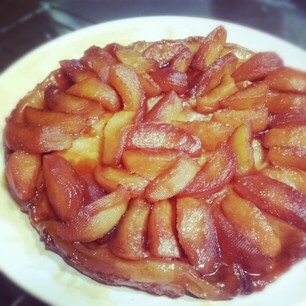 # – Apple tarte tatin. Made this right after publicly declared I was going on a diet. Sigh. Follow me on instagram ok. My nick is “Kimberlycun”. 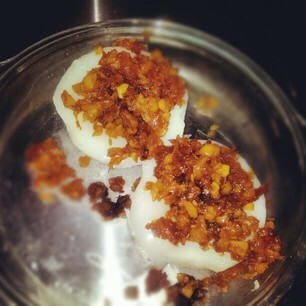 I don’t just post pictures of food la. I’m not that boring. I post pictures of dogs too.